Welcome January! Although often bitterly cold here in the Northeast, January is still one of my favorite months, as it's both a new beginning and my birthday month. While 2014 wasn't entirely terrible, both my kids had serious sports-related injuries (a badly broken leg for my older son in Feb., and a badly broken right thumb for my younger son right before the start of school. Yes, he's right-handed. Both breaks required surgery, and in the case of my son's leg, there was quite a bit of rehab and many, many visits to Children's Hospital), so, we're ready to put last year behind us. Many of my most popular blog posts have discussed some of the history or mythology behind holiday traditions, for example, St. Nick, Finding Easter's date, and the Origin of Halloween. For the first week in January, I thought I'd list some facts about New Year's Day and the month of January itself. (Also, my January birthday is on the 13th - see this post for reasons people fear that number). New Year's Day is the first day of January according to both the Julian calendar (introduced by Julius Caesar in 46 BC) and the Gregorian calendar (named for Pope Gregory XIII, who introduced it in 1582). The difference in these two calendars is a .002% change in the length of the year. The Julian calendar was based on the Roman Calendar, and the name of the month of January is generally attributed to the Roman god Janus, the god of beginnings and endings, who is depicted with two faces looking in opposite directions: into the past as well as the future. Since the Gregorian calendar is now used, at least in practice, by most countries, New Year's Day is considered the world's most celebrated public holiday. 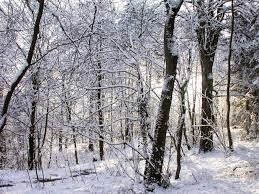 The ancient belief that the beginning of an event impacted the whole led people to offer good health and well wishes on this first day of a new year, as the long, dark days surrounding the Winter Solstice were being left behind. A prosperous January first with plenty of food and drink would hopefully lead to the same for the entire month and year. Of course, local traditions abound to mark this day, and a big one in the United States is the making of resolutions. For many people, this involves a commitment to a healthier lifestyle--as a fitness instructor, I see my classes absolutely explode each January! My own personal resolutions, since I'm also a writer, usually involve devoting more time each day to my craft so I can meet deadlines without the stress of a last minute rush. Aside from goals related to my two jobs, though, I think my most important resolution this year will be to try harder to live in the moment. As I cleaned out closets this Christmas break--an attempt to start the new year with a more organized environment--I stumbled across a very old video recorder. So old that it involved tiny cassette tapes. I powered up the camera and hit play, and suddenly my first born child appeared, not quite two years old, toddling across the screen in overalls. I watched him look for Easter eggs, attempt his first trip down a slide, try to rake leaves, and wrestle with the new kitten, who is now a 16-year-old cat. The same age, in fact, as my oldest son is now. Where did that time go? Can my kid really be two years away from leaving home? So, while he probably won't be thrilled about the idea of spending more time with me, I'm planning on making sure I don't miss one soccer game, track meet, or awards assembly. Best wishes, everyone, for a happy, healthy, and meaningful 2015. Happy New Year! New #Kindle? Forbidden Love + Supernatural Suspense for #99c! Did you get a new Kindle or Nook for the holidays? I'll admit, I was conflicted when I received my first Kindle. I love the feel of books. But you absolutely can't beat the ease of an e-reader when it comes to downloading new reads immediately, searching for certain passages, and looking up definitions right on the spot. Not to mention, you can carry hundreds of books with you at all times, in one lightweight tablet! Perfect for this girl, who never goes anywhere without a book. I even made a custom cover for mine, with the covers of my first two novels on the front and back. My third novel, a Young Adult Paranormal Romance that reviewers have called "nail-bitingly good", is currently on sale for only 99 cents for both the Kindle and Nook formats. That's a pretty great deal for a book that will pull you into a forbidden first love and a dangerous supernatural secret, with plenty of action and romance along the way. Give it a try! The premier annual Romance Convention, RomCon, has already picked it as a 2015 nominee for their coveted Reader's Crown Award! Links and blurb below, and check out the Pinterest board too. Happy Reading--Enjoy the "Fall". After tragedy tears Jamie Brandt’s life apart, her only goal is to finish high school so she can leave her small hometown behind. In the meantime, riding her horse is her main source of solace, until a mysterious stable hand shows up at the barn. There’s something not quite right about the handsome new employee, and the more Jamie sees of him, the more determined she becomes to figure out what he’s hiding. Dothan Reed came to historic Huntsville, Maryland, for one reason—revenge. But his plan can’t move forward until he finds the missing piece he needs to enhance his powers. As the only surviving Nephilim, Dothan is not only weaker than full-blooded angels; his forbidden lineage makes him an outcast in both worlds. When he discovers Jamie is the key to locating an ancient weapon, he’s forced to interact with a vulnerable human girl—a task that becomes more appealing with each encounter. Jamie soon learns Dothan isn’t the only one with a dark secret. Each new revelation further threatens her safety, and Dothan’s betrayal shatters her heart. Forgiving him seems impossible, but the thought of turning her back on him is equally painful. 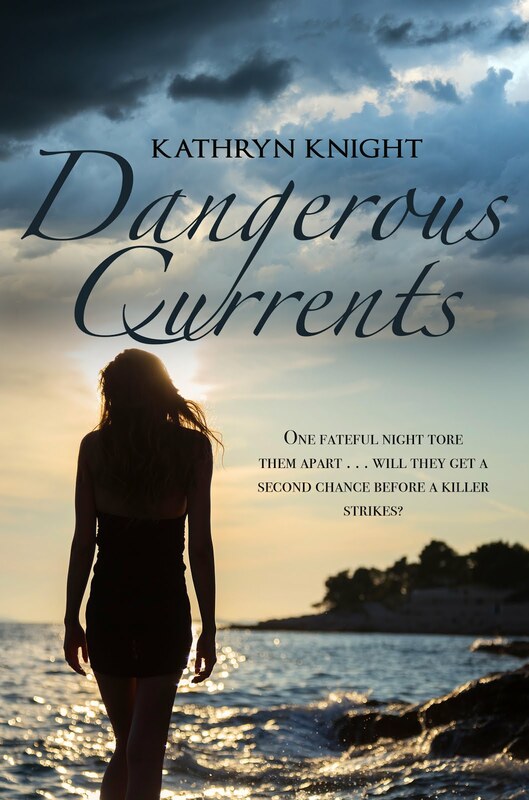 As their connection deepens, Dothan will have to make his own difficult choice: continue on his path of vengeance, or protect the girl he loves. And when Dothan’s actions thrust Jamie into an unforeseen danger, he must seek the help of his enemy…or risk losing her forever. I love animals. And I come from a long line of animal lovers, on both sides of my family. Growing up, we had at least 2 cats and a dog in the house at all times; we also owned a horse that lived at my mom's best friend's barn (that's the setting I used as inspiration for the stable where Jamie keeps her horse in my Young Adult novel DIVINE FALL). I have many fond memories of playing with the barn cats and "camping out" with the other kids on the patio, under the stars, while all the dogs that lived on the farm tried to squeeze into our sleeping bags. plus two cats. I love this pic. We often took in rescues from shelters. When my parents married, our first family dog was a St. Bernard named 350. Why? Because that was his cage number at the shelter, and that was how much his adoption fee was - $3.50. Of course, this was 1969. Sadly, my mom is gone...but I've continued the tradition of making animals a big part of our lives. Right now at home we have a rescue cat (he's 16 now, and he's had several brothers over the years, both his actual brother and a few other rescues, but he's the only cat at the moment) and a rescue dog (see his story here) who is a 2-year-old Border Collie mix who could power the entire U.S. if we could figure out how to tap into his energy supply. Luckily, my husband is a runner who takes him on 10 mile jaunts almost daily. I wish I had a bigger house, a bigger yard, and a bigger income to be able to afford more. If I could, I'd rescue them all. Maybe someday we can have a farm too, that would have enough land to support a lot more. 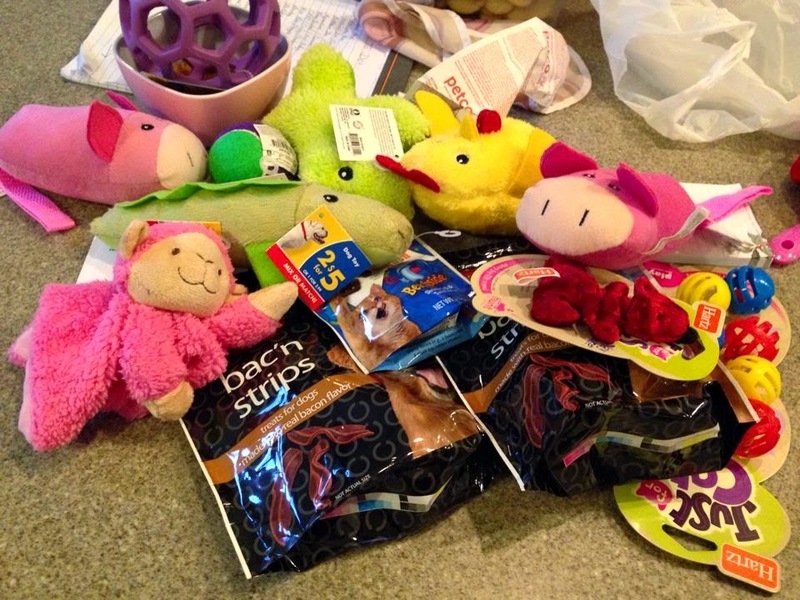 In the meantime, I donate what I can to organizations that help homeless animals. 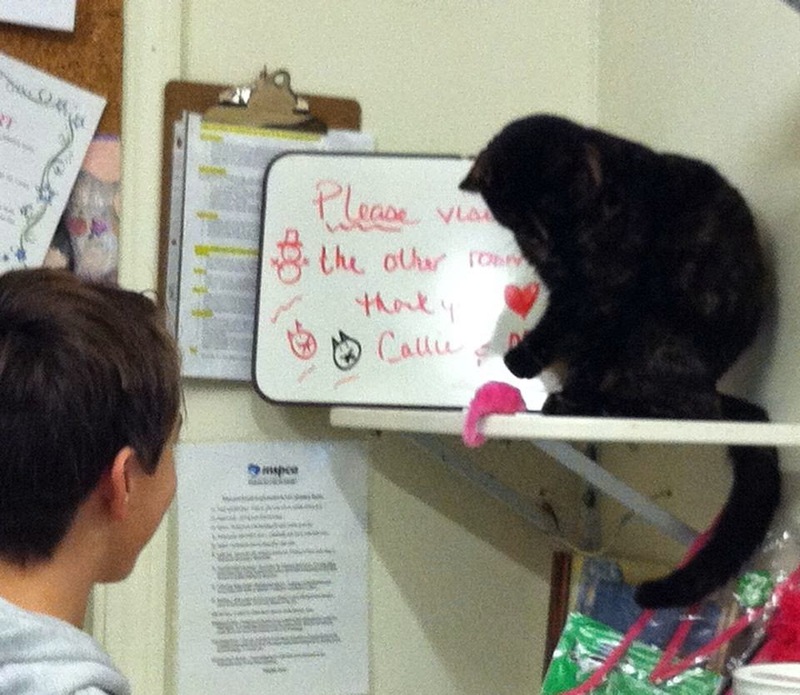 A few years ago, I decided our new Christmas tradition would be buying all the things on the local shelter's "wish list" and delivering it during visiting hours, with my kids, so we could also give the animals some extra holiday love. The very first year we did this, the strangest thing happened on Christmas - a psychic medium at a party (who had never met me), gave me a message from my mother about this trip to see the animals. More on that story here. 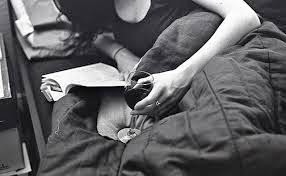 While I write romance mixed with ghost stories, I'm a bit of a skeptic about "readings" and such. But this was enough to make me believe some gifted people can talk to spirits, and I truly believe my mother wanted me to know how happy she was that we made that trip. This year, I posted some pictures on Facebook, in the hopes I might inspire others to visit their local shelters. My sister saw the post and immediately said she'd do it too. We live eight hours apart, which I hate, but I was thrilled that this gesture connected us in a small way for the holidays. And I hope this tradition reminds my children of the importance of showing kindness to all the creatures of the world, especially those in need, and of the joy you can get from picking out presents for animals without a family. My hope is that my boys, and my sister's girls, will continue the tradition with their children someday. Happy holidays! I love doing posts about the origins of our holidays and the reasons we celebrate in certain ways or fear certain dates. Some of my most popular posts have been on the Origin of Halloween, Finding Easter's Date, The Number 13, and Origins of Superstitions. When my kids were younger, I taught Sunday School...in fact, a passage from the Book of Genesis about the Nephilim, the offspring of male angels and human women, inspired my Young Adult Paranormal Romance DIVINE FALL. For years, I taught the class every week, and my favorite lessons touched on the historical and religious roots of our holidays. The lesson on Saint Nicholas was obviously something I made sure we discussed every December. While most people are familiar with the story of Jesus's birth in Bethlehem, many are unaware of how a 4th century Bishop influenced the legend of Santa Claus. 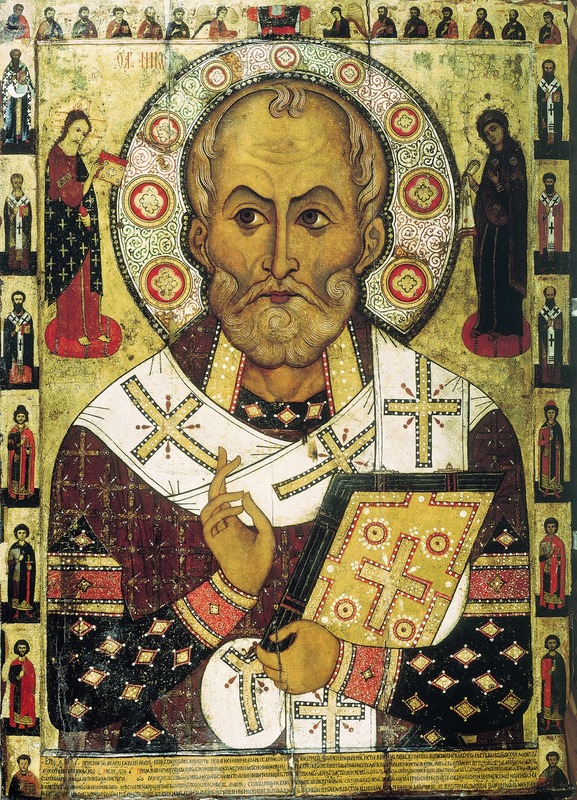 Saint Nicholas, or Nikolaos of Myra, was a bishop in an ancient town in Lycia--now Demre, in the Antalya Province of Turkey. One of his most well-known deeds involved giving unexpected gifts, one of which landed in a stocking. In the story, Nicholas wanted to help three young girls, whose father had no money for their dowries. At that point in history, such a fate would result in a life of prostitution. Not wanting to embarrass the poor father, Nicholas threw bags of gold coins through the windows. In one version of the tale, the father laid in wait to discover who was doing this...and so instead of throwing the third bag through the window, Nicholas dropped it down the chimney, and it landed in a stocking hung to dry by the fire. 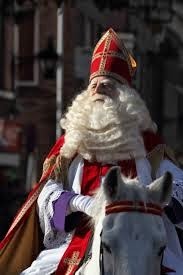 The Dutch figure of Sinterklass is based upon Saint Nick, and he more resembles the white-bearded man in red we're all familiar with. In turn, our Santa Claus is derived from Sinterklass, and it's widely believed that he was introduced to North America around the time of the Revolutionary War, by inhabitants of New York City, which was once New Amsterdam, a Dutch colony. Of course, many other sources have combined to shape both the modern-day image of Santa Claus and the various legends and traditions which have evolved (decorating trees, sleighs pulled by reindeer, winter feasts and festivals, etc.). Those will be topics for another day and another blog! I'm hoping my blog readers who celebrate Christmas have finished the gift-buying and food preparation that comes along with the holiday, and have some time to relax and enjoy the magic of the season. And if you need a book to help you de-stress, check out one of my novels - each one is filled with romance, mystery, and suspense - something for everyone! Also perfect as a last-minute gift, since all you need to send someone a Kindle copy is an email address. Each one is less that the price of a card, and DIVINE FALL is only 99 cents right now! The tabs at the top of the page will take you to the blurb for each book, but I've also included links below. Happiest of holidays! I am not a crafty person. I'm creative, in terms of dreaming up intricate plots and developing characters, but the closest I get to designing gorgeous gifts or beautiful centerpieces is adding pictures I love with instructions I know I can't follow to my Pinterest boards. I'm in awe of people who have that kind of talent. But I *can* follow simple recipes, and last year my sister-in-law, who always hosts Christmas with a dazzling display of gourmet food and stunning displays, served a nut mix that I just couldn't get enough of. And hey, it's nuts--a good for you food, packed with protein, omega-3 fatty acids, antioxidants, vitamins, and minerals. Even with the seasoning, it's a better choice than baked goods filled with refined flour and sugar. 2 T fresh coarsely chopped rosemary - luckily, I have a rosemary plant on my patio! Spread the nuts on a baking sheet and cook for 10 minutes at 350 degrees. Mix the remaining ingredients. Toss the nuts with the mixture in a large bowl. And remember - reading is the ultimate stress-reliever, so if you need a good book (at a great price) to help de-stress during the holiday rush, try my new Young Adult Paranormal Romance for 99 cents - relive first love and lose yourself in supernatural secrets and suspense! Most authors tend to do a lot of networking. Personally, I love to connect with both readers and other authors (who also tend to be passionate readers - I know I am!) on social media. I first met my friend Darcie Morin via a Facebook connection, but we were able to meet in person when she traveled to a book signing I did in Bethany Beach, Delaware. Incredibly, Darcie has already written several full-length novels at a very young age, and she's currently honing her skills in college with a creative writing degree. I was honored to be chosen as the interview subject for her recent class project. She forwarded me the finished product, and I copied it below. Oh, and we got a 100% - woo hoo! It is a young author’s dream come true when they have the opportunity to interview an author who has inspired them. There are so many authors who have inspired me in one way or another but this one is especially inspiring to me and to be able to interview her for this assignment and learn from her even more is a chance I welcome. 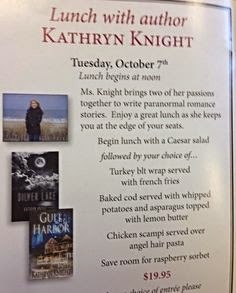 Paranormal Romance Author Kathryn Knight took time away from her very busy schedule to talk with me and help with this assignment. Q1. When did you know you wanted to be a writer? Answer: From the time I was very young, my absolute favorite pastime has been reading, so I always dreamed of someday writing a novel that would provide other readers with the same sort of pleasure I get from a great book. From childhood through adulthood, if I couldn't be reading, I'd spin my own stories in my imagination to keep myself entertained. I started writing my first novel at age 39, when I basically had the entire manuscript of Silver Lake written in my head. Q2. Why did you choose a pen name? What are the benefits? Answer: I have a marketing background, so I view a pen name as a brand name. It should be memorable and catchy, as well as easy to find in an online search. People often spell my real last name wrong, so I chose "Knight", which also conveys the mysterious and romantic feeling I'd like associated with my books. Q3. What advice would you give to young writers? Answer: Keep at it. The more you write, the better you get. Study successful books in your favorite genre, looking for things that make the story work. A critique group is very important--your family and friends rarely give honest advice that makes your writing better. And anyone interested in writing commercial fiction should have a copy of Debra Dixon's Goal, Motivation, and Conflict. Q4. Do you think there are benefits to having a creative writing degree? Does it make it easier to get into the field? Answer: I think a creative writing degree is definitely an advantage in this field, as anyone who has earned this degree has already shown an ability to exercise their imagination, to explore different story possibilities, and to allow others to critique their work. In addition, those with writing degrees have shown they have the discipline to sit down and actually write! That said, agents and editors are looking for the next groundbreaking story, and the writer’s background is less important than a fantastic, fresh idea with huge marketing potential. Q5. Is there a benefit to publishing with an Agent? Without? Answer: Having an agent is usually the only way to have a manuscript considered by one of the big five publishers—having someone champion your work and possibly broker a deal with a big publishing house is a dream for many writers. However, the market has undergone massive changes in the past 10 years, and agents are more selective than they’ve ever been when it comes to choosing who and what they’ll represent. Smaller presses such as my publisher don’t require an agent to submit. Some authors still choose to have an agent submit to small or digital presses on their behalf; those manuscripts usually move to the top of the pile for consideration. The downside would be sharing all royalties (usually 15%) with an agent as well as the publisher and the distributer. Since profit margins are already razor thin, this is something to consider. Q6. How did you come up with the idea for Silver Lake? Gull Harbor? Divine Fall? Answer: I’m fascinated by all things supernatural, and I read a lot of ghost stories and watch all the movies. And in most of the stories and films, one big loophole consistently bothered me. More often than not, the ghost writes some cryptic message somewhere—in a fogged-up mirror, on a wall, in spilled food on the kitchen counter. Of course, this serves as one more clue in the mystery, but what I always wanted to know was—if the ghost can write a message, why not just spell out exactly what it needs? The ghost never says “Look for my body in the basement” or “The butler did it”. And so my initial idea was born. The ghost in Silver Lake, Brandy, needs help—a certain set of circumstances—to get her message across. The rest of the story filled itself in from my affinity for “reunion romances”—novels that explore a second chance at first love. The friends Brandy needs to come together include a tight-knit group of men and women who bonded during high school, a time when emotions are intense and choices can be difficult and life-altering. I was lucky enough to have a similar group of friends during those tumultuous years, and I drew from those experiences as well. The initial idea about barriers in communication between desperate spirits and living humans generated a new idea that became Gull Harbor. I envisioned a medium, newly accepting of her gift and eager to begin a career, who cannot understand what a desperate and destructive spirit needs or wants. The reason is--of course--a big reveal in the plot, and as the main character begins to solve the mystery behind the haunting, she winds up in even greater danger. I again went back to a reunion between two star-crossed lovers for the romance aspect, and I gave them both a reason to essentially despise each other (which became their backstory), despite the physical attraction that remains. Interestingly enough, the inspiration for Divine Fall came from a Sunday school lesson I taught. In the beginning of the Bible, the book of Genesis discusses the Nephilim—the offspring produced when male angels took human women as their wives. The Nephilim were strong and virile, but they were also aberrations, and their kind was wiped out in the Great Flood. Of course, in my novel, at least one still exists. And since I knew how I was going to connect this fallen angel to the young teenage protagonist, her backstory came about fairly easily. I grew up in Maryland and spent a great deal of time at our friend’s barn, riding horses, and I wanted to give the main character a similar passion. Her love of riding brings her to the stable on a regular basis, where the mysterious new stable hand has found an off-the-records job. It seemed like the perfect setting for two lost souls to start to trust one another. Q7. What is your writing ritual? Answer: Usually my mind is always working on the story, and since I’m always on the go, I write ideas down on slips of paper or on my phone as things come to me. I like to sit at my kitchen island and do my typing there when the kids are in school or after everyone has gone to bed. Answer: It’s the perfect combination for me. I love romance—all the emotions that come with falling in love and making yourself vulnerable to another person. And I’m also very interested in anything supernatural—ghosts in particular. I read a very sweet Young Adult ghost story/romance when I was about 8 years old (Jane-Emily, by Patricia Clapp); it became my favorite book and a bit of a blueprint for the kind of novel I wanted to write someday. Q9. What made you want to write a young adult novel? Answer: I had a great idea for a young adult novel, and I was looking for a new challenge. Writing YA is very different from writing genre romance for adults, because most YA novels are written in deep first person point of view (POV). This creates an intense connection between the character and the reader, but the writer must find a way to convey all the information through that one protagonist. If the main character didn’t see, hear, smell, taste, or touch it, it can’t go in…otherwise, the author becomes an omnipotent narrator. I read exclusively YA novels the year I wrote Divine Fall, both to remain in the right creative place mentally and to identify methods various authors used to show the internal motivation of other characters or to relay a scene that happened to another character. Q10. What do you do to plan out your novels? Answer: I’m a “plotter” in the industry’s “plotter vs. pantsters” debate—I plot an outline as opposed to writing “by the seat of my pants”. I have to have a fairly good idea where the story is going and how it will end before I’ll start. Once I have the bones of the plot, I allow creativity to take over. I also make charts to map out each character’s goals, motivations, and conflicts (both internal and external), and I make pages of notes for each character’s personal history, physical appearance, hobbies, habits, fears, etc. Q11. What kind of have research have you done to prepare for them in the past? Answer: I always visit the setting of each novel. Although I give towns or lakes fictional names, I set them in well-known areas, and I strive to capture the local environment and history. Since I write paranormal, I do have free reign to make things up in terms of supernatural aspects, but I try very hard to keep events and explanations within the realm of something that could be possible. Readers don’t have to travel too far out on a limb to believe the paranormal plotlines. For the books involving hauntings, I’ve done online research, interviewed mediums, gone on ghost tours, and attended séances. For research into angels, I read passages from the Bible as well as other books involving Nephilim. I also research the characters’ hobbies and careers, and interview people with knowledge in these areas. Finally, I rely on friends and acquaintances for help with specific scenarios—I’ve talked to teachers, detectives, nurses, doctors, competitive riders, boaters, firemen…this list goes on and on, and most people are thrilled to share their expertise for a novel. Q12. How well do you do with marketing your novels yourself? Does your publisher do any kind of marketing? We have a marketing director who helps us with all our online marketing. She organizes promotions, runs sales, sends books out for review, and sets up ways for all of the authors at my publisher to connect. We have an online forum to enter book links or news events we’d like her to send out via Facebook, Twitter, and the website’s blog. Right now she’s running a “#HauntedGarden” promotion, highlighting paranormal novels or topics, so I’ve been very actively participating in that! In this competitive market, however, it’s absolutely necessary for authors to contribute to the marketing effort. I have a graduate degree in Marketing, so I like to think I do a good job of finding ways to connect with readers and increase the visibility of my titles. I request reviews from new book blog sites, I arrange local presentations and signings, I do interviews on local television shows, and I maintain an active presence online. In addition, I will be teaching a non-credit evening class at the local community college this spring on “Fiction Writing and Publication.” It takes effort to balance all this with my writing, but since this is my passion, I’m truly enthusiastic about promoting both reading and writing. From Kathryn’s interview, I learned the value of a pen name and how it can act like your brand name if you allow it to. It’s actually made me consider using a pen name. I’ve learned her methods of sitting down to write out the next amazing ghost story. I’ve learned about things that could help me get to the career I have dreamed about since I was a child. I found this interview to be very informative and beneficial to me. It only makes my intention to be a full time writer that much stronger. Thank you, Darcie! We look forward to great things! Whenever we're able to add a new pet to our family, we adopt--often, via the website Petfinder, which does a great job of allowing you to search for homeless animals that would be a good fit in terms of age, breed, and personality. 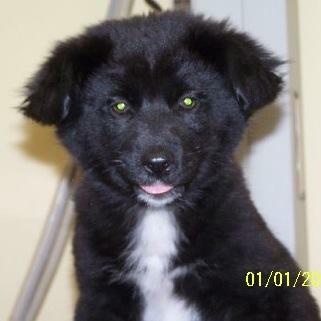 I often try to rescue the older dogs, since they have more trouble getting adopted, but a few years ago a search for a Border Collie mix turned up Otis, a puppy who'd been found on the side of the road in Alabama. For more on his story, click here. As his foster mom nursed him back to health, it became clear the car trips to the vet were a bit of a problem...he usually got nauseated and vomited. We hoped it was a puppy thing that he would outgrow, especially since we are a family that loves to travel with our dogs. Short trips to hiking trails, beaches, and lakes, as well as seriously long trips to visit family and friends. Both his foster mom and I fretted about his long trip up north on the doggie rescue transport, but he did okay. He was probably too keyed up to eat much, with so many other excited dogs headed to forever homes. Once my husband picked him up (still two hours from home), he collapsed on his lap and slept that way the entire ride to our house. But he didn't outgrow this affliction, which was a shame. He wanted to drive to school with me to pick up the kids, but he'd throw up. He loved the dog park, but I'd have a big mess to clean up from just a 15 minute ride. At least twice a year, we drive eight hours to where I grew up, and dogs are always welcome on our visits. 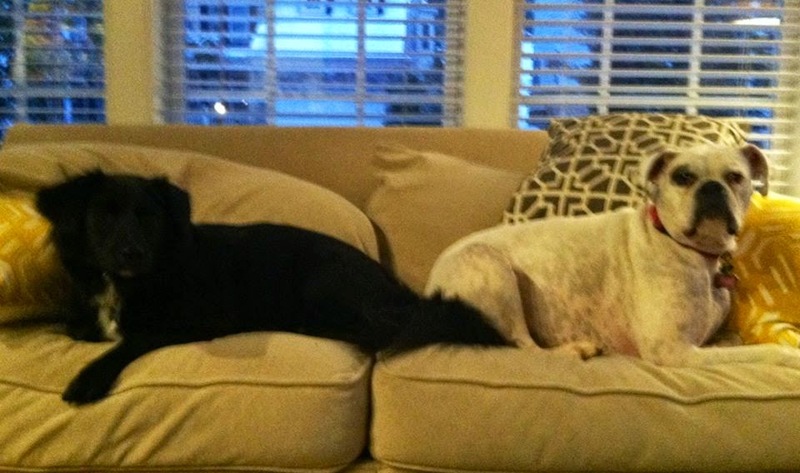 But we had to leave him behind, which he didn't like--he's part of our "pack", and he prefers to be with us. Not to mention, it's expensive. We'd rather only go through all that when there's no other solution. I talked to the vet. I asked the women who come to my fitness classes who have dogs. I got lots of thoughts on how to make it work, and last spring, we decided to bring him along on our semi-annual trip. boxer, Zoe - fast friends! Success! My dog who usually can't tolerate 10 minutes in the car made an eight hour trip without getting sick! He was fine on the way home as well. And we just did the trip again, for Thanksgiving, with equal success. So I'm going to share what worked for us, with the giant reminder that I AM NOT A VET. I'm a romance author. And a fitness instructor. But I'm also an animal lover, and maybe this info can help someone having the same problem. Just remember to ask your vet, as I did, since giving medication to animals is serious business. Dramamine never worked for us. Our vet suggested Bonine, which I'd never heard of. It's another medication for motion sickness, the active ingredient being Meclizine, as opposed to Dimenhydrinate. Otis weighs about 30 pounds, I gave him one 25 mg. tab an hour before we left, and again halfway through the trip. We gave him a dose of Benadryl at the same times. While most people recognize this as an allergy medicine for people, it can be used for motion sickness in pets. The usual dosage is 1 mg per pound. So Otis received a 25 mg. tablet. Then, we built a large perch in the back of the SUV for him to sit on. He does better when he can sit forward, looking out the window. We stacked luggage, secured it with bungee cords, and covered it with a blanket to make it comfortable and to protect the bags. I expected the Benadryl to make him tired, but he stayed awake the entire time. But he's a pretty energetic dog. When I had him neutered, the vet told me to "keep him quiet" for a few days. An hour later, he was tearing around the yard, ignoring my demands to calm down. However, he was relaxed for the entire trip, and each time we gave him a little walk during our stops, he hopped right back in the car willingly. After all, he wants to be with his pack...and I'm grateful we found a way to make that happen. Last few days! It doesn't happen often, but GULL HARBOR is on sale for only 99 cents - a savings of $4 for this Amazon Bestseller. Who doesn't need a steamy and suspenseful read right now, during the hectic holiday season? Reading for pleasure is a proven stress reliever, so load up your Kindle or Nook, and then anytime you need a little escape, you can transport yourself to Cape Cod's Gull Harbor, where a dangerous ghost and an ex-boyfriend await psychic medium Claire Linden. I will warn you that most reviewers say it's difficult to put down, but all the better to hold your attention, right? Links and blurb below - download your copy before the sale ends on 12/6/2015. A #1 Kindle Bestseller, less than a buck! Want to see the story board? Check out the pictures I used for inspiration on Pinterest! When Claire Linden’s job sends her to the sleepy town of Gull Harbor, she never expects to encounter her ex-boyfriend. As a medium, the prospect of tackling a haunted house is less daunting than seeing Max Baron again. Throughout their passionate college relationship, he promised to love her forever. Then, without explanation, he abandoned her on graduation day. Max never intended to break Claire's heart—a cruel ultimatum forced him to disappear from her life. While he's shocked to find her in Gull Harbor, he isn't surprised by the bitter resentment she feels for him...or the fiery attraction that remains between them. Claire is determined to rid her temporary home of its aggressive ghost, but Max soon realizes she's facing a danger beyond the paranormal. When Claire risks everything to help a desperate spirit, Max must race to save her—before another tragedy tears them apart forever. Every year, my awesome publisher, The Wild Rose Press, puts a call out to all our authors for contributions to the free holiday cookbook. This year, our theme is "Quick and Easy"--something that's useful not just during the hectic holiday season, but pretty much every day of the year. The book is broken down into Crockpot, No Bake, One Pot, Five or less Ingredients, and Thirty Minutes or less Preparation. And, it's FREE! 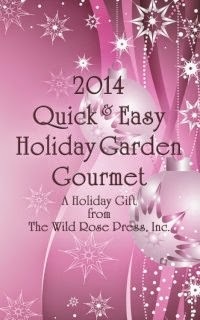 To download, follow the link below to The 2014 Holiday Garden Gourmet and click the red Add ToYour Cart, create an account if you don't have one at TWRP (takes just seconds and no spam), and then hit download. It comes in an Adobe file that can go on your Kindle or just right onto your laptop, which is what I did. I'm looking through the recipes now, trying to decide what to try first! And if you need some new reads, take advantage of the blanket 40% off our entire site! 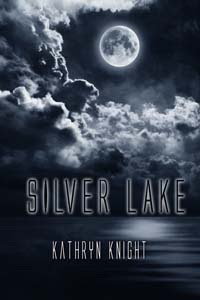 That puts my debut novel, SILVER LAKE, at the bargain price of $1.79, and it can easily be put onto a Kindle, iPad, or Nook. There's something for everyone in this romance/ghost story: A haunted lake house, a rekindled first love, a reunion of friends, and secrets from the past. Can Jason protect Rain from a desperate spirit determined to expose the truth? Happy Holidays from all of us at The Wild Rose Press! Steamy #Romance + Spooky Suspense #99c for #BlackFriday! My books, while romance, almost always also deal with a ghost--the spirit of a being who has passed away, yet can appear or communicate in ways similar to a living person. In essence, an incorporeal (without a physical body) version of the undead. But in fiction and legend, there are also many examples of physical manifestations of the undead: vampires, mummies, wights, and of course, zombies. I'm a fan of all things paranormal, and I've been watching The Walking Dead since the very first episode aired on October 31, 2010 - Halloween. 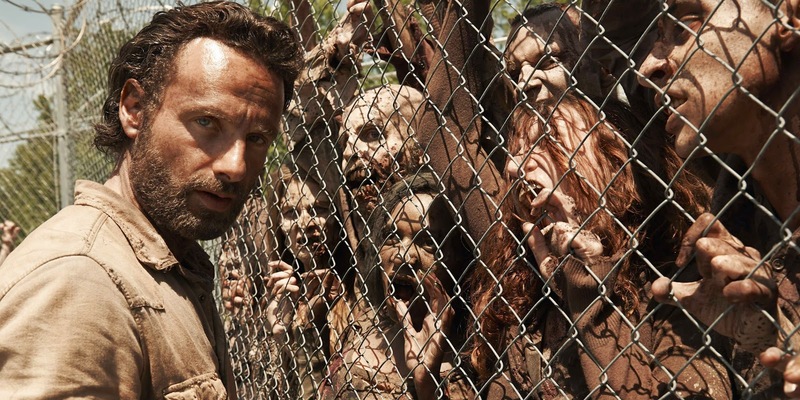 Fans of the show (or the comic series, on which the show is based) know the zombies on TWD are referred to as "walkers". 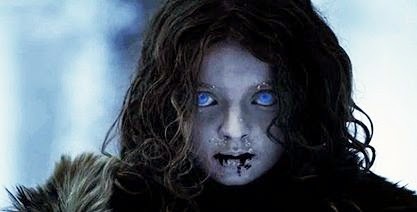 There are also zombie-like creatures on another show I love, Game of Thrones. This show is of course based on the amazing novels in the A Song of Ice and Fire series by George R.R. Martin. In Westeros, beyond the Wall, a zombie-like race known as wights wait to attack those with warm blood. The wights are dead humans or animals who have been raised back up by the Others, an inhuman race also lurking beyond the Wall. The Others, or White Walkers, are ancient humanoid beings associated with cold whose only weakness appears to be dragonglass. The fictional (hopefully!) nature of zombies allows an author to decide how these already-dead creatures can be destroyed. In TWD, the walkers' reanimated brains must receive another fatal blow. It takes fire to stop a wight in ASOIAF. This fictional nature also allows for various interpretations of what a zombie is, but the general definition is a reanimated corpse with an appetite for human flesh. In Haitian folklore, the reanimation is due to some type of magic, such as witchcraft. During the U.S. Occupation of Haiti (1915-1934), more people became aware of the idea of zombies after apparent case histories emerged. The journalist, explorer, occultist, and cannibal William Seabrook traveled through Haiti in the late 1920s, and he recorded a sensationalistic version of his experiences involving Haitian Vodue (Voodoo). 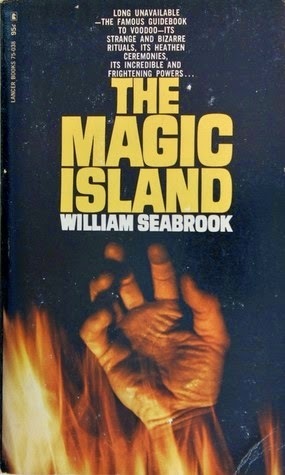 The book, The Magic Island, was published in 1929 and is credited by Time Magazine with the introduction of the word "zombi" to Western culture. One of the most famous zombie movies, Night of the Living Dead (1968), did not even use the term zombie at all. The reanimated corpses were referred to as "ghouls" in the screenplay. One of the writers of this cult classic, George A. Romero, admits basing the screenplay on the novel I Am Legend, by Richard Matheson (a great book and a recent movie as well!) In I Am Legend, the infected beings lurking around the last human's house are referred to as vampires, not zombies. But the general idea of a battle for human survival in an apocalyptic scenario has become very popular, which brings us back to The Walking Dead. This group of survivors struggles daily not just to stay alive, but to maintain their humanity after society has crumbled. There are too many novels and films featuring zombies to discuss here, but I hope you enjoyed a little history on the undead. If you'd like to try some undead suspense in the form of a spooky ghost story (mixed with steamy romance! 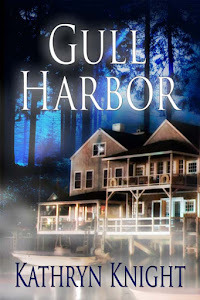 ), download a copy of GULL HARBOR or SILVER LAKE. The characters face a haunted house, not a zombie apocalypse, but the plot twists, dangerous secrets, and chilling messages from desperate spirits should make your pulse pound a little faster! Another Cover Love Poll to vote on! There are 8 covers up for Best Cover over at Lolly Tova's blog. I'm hoping you'll take one second (literally!) and vote! No emails, registrations, etc...just pick your favorite and hit "Vote". If you like several, guess what? You can vote again tomorrow, and the next day, until the poll closes on November 30th. 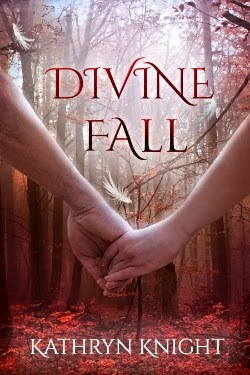 Of course, I'm hoping you'll vote for the beautiful cover of DIVINE FALL. You see, this cover is very dear to me, as I had an integral part in the design. My first two novels, SILVER LAKE and GULL HARBOR, are with a publisher, and therefore, the cover is designed by their artists and owned by the company. 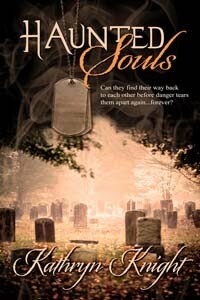 And I truly do love how the covers came out...spooky and mysterious, just right for haunted romantic suspense. But I decided to publish my new Young Adult Paranormal Romance independently, for a number of reasons. One big part was complete control of the cover. For anyone interested in the details of each step I took in the cover design process, you can see my post about it here. And please take a moment to vote! Here's the link: Cover Love Poll. A big thank you! My October was a haze of author events and online promotions. And that's a great thing, but as I mentioned, it was a bit overwhelming! The paranormal aspects of my novels make the Halloween season incredibly busy, so now that November is here, I'm finally enjoying a tiny relaxation mode before the holiday frenzy hits. 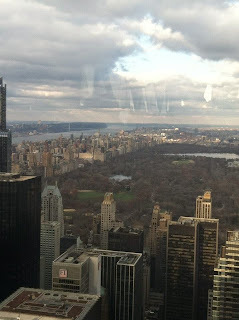 And this little slice of "calm" involves a weekend trip to New York City, just me and the hubby and our best friends. Last November, we all took a trip together to NYC--the two of us and our two sons, plus our best friends and their two daughters. Eight of us in total. We had big plans...about 10 sightseeing "musts" in addition to ideas on shows, shopping, and restaurants. We made it to Bryant Park. And Dylan's Candy Bar, as a treat for all the kids, where we dropped $75 on...yes...candy. 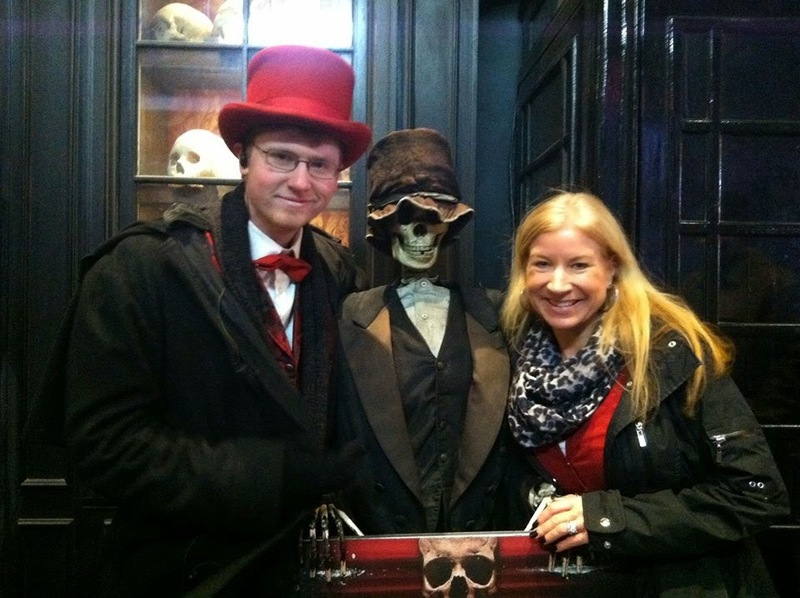 A short turn around Central Park, a few shopping excursions, and a fantastic dinner at the Jekyll & Hyde Club (billed as New York City's most haunted restaurant...how could I resist?). All in all, it was not enough time. We missed things we really wanted to see. And the kids seemed less than enthusiastic about all the walking. So this time, it's grown-ups only. A much deserved mini-vacation for the four of us! 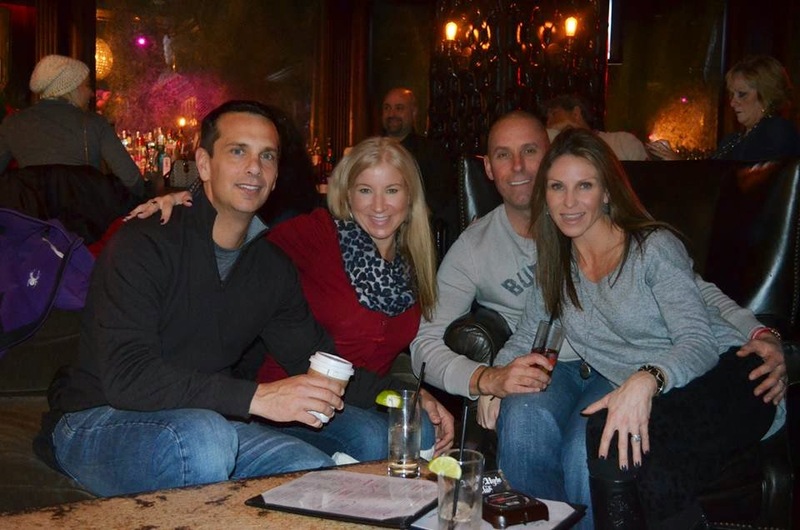 Things on our list include the 911 Memorial, Gotham Comedy Club, Tommy Bahama Island, a bike ride in Central Park (if the Polar Vortex permits), and plenty of cocktails and conversation! Now, what do I pack? I better get off this blog and get busy. 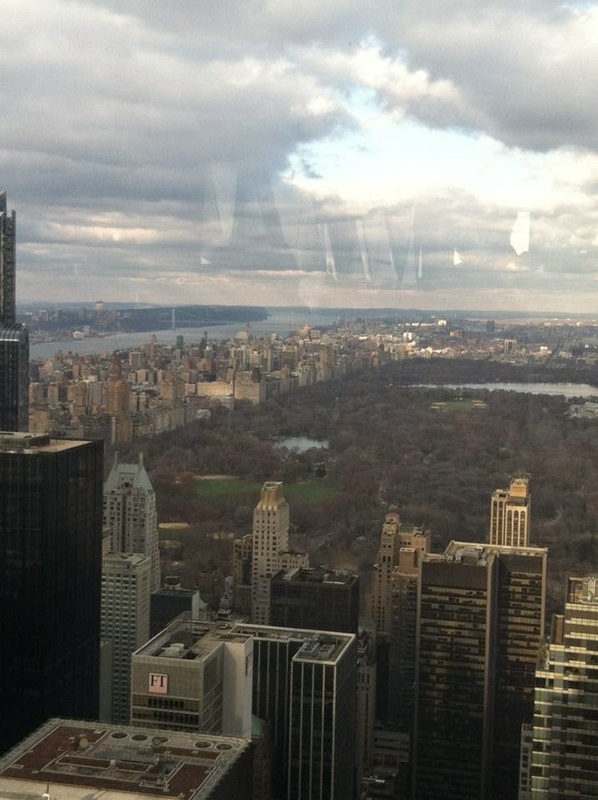 I'd love to hear more suggestions of fun things to do in the City that Never Sleeps! And I've got my Kindle loaded for the train ride...which I find an equally exciting part of the vacation! Whether you're home or away this weekend, if you need a good read, check out my books: GULL HARBOR, SILVER LAKE, and DIVINE FALL. Have a great weekend! a fun bar and plenty of creepy displays, it wasn't too hard! The first time I saw the term "NaNoWriMo", I thought...what the heck kind of word is that? Then, much later, when I found out what it meant, I was stunned. Write a novel in a month? What? It takes me--minimum--nine months to write a full length novel. I can't imagine trying to finish one in 30 days! And 50,000 words is A LOT! Plus, November, to me, seems an odd month to attempt such a lofty goal. For many people, it's the start of the busy holiday season. For me, personally, it's the start of the holiday season PLUS the lead off to consecutive months of every birthday celebration in my little family of four: one in November, one in December, and two in January. Not to mention two extended family birthdays and one anniversary. But the idea, I've now come to realize, is to promote inspiration and motivation. And accountability, if a participant chooses to register their work at the official website. The philosophy is "quantity over quality", and this is a great way for people to get started. Writers write. I'm not sure that approach would work for me at this point, as I now tend to be a perfectionist as I write. A full-length novel at my publishing house is 65,000-100,000 words. Usually, when I've finished the last sentence in a manuscript, I'm already somewhere in that range. From there, the editing process only involves small details or little pockets of research. It's just the way I write these days. I make Goal/Motivation/Conflict charts in advance, as well as pages of character back-stories, lists of reveals, hints leading up to reveals, facts from research, etc., etc. But that certainly isn't how I started. I had an outline for SILVER LAKE in my head when I began, with some fairly significant character development as well, thanks to years of thinking about the story. But no charts or schedules. I began writing in a notebook, on an 8-hour car ride. It took me 2 1/2 years to finish the first draft, and there were months when I didn't write a word. Of course, I was absolutely thrilled when I reached the end, but even when I polished it up, it clocked in somewhere in the neighborhood of 135,000 words. Way too many for a first novel. And there are good reasons for that...my novel was a perfect example. Thankfully, the editor who received my submission liked the story idea enough to give me some pointers. I took her advice to heart and rewrote...not once, but three times. The end result was a tightly-paced 78,000 word novel that I sold to a publisher. That was my dream come true, and the reason I achieved it was because I pushed myself to start the novel on that car ride in April of 2008. Then, I persevered after the initial rejections because I had the basic bones there...I was even told not to change the second half at all. My understanding of NaNoWriMo is that the novel begun on November 1st must not be a work-in-progress. So that counts me out, since I have something I'm working on (see HAUNTED SOULS Pinterest Board). That has to come first, even thought I'd love to be part of the NaNoWriMo camaraderie I see playing out online everyday. but I enjoyed all the events! I have decided to tap into the spirit of the challenge, though. My latest novel released in July, and that was my third in three years. I was exhausted. Promotion and marketing take a lot of my time, and then there's my other job and of course my family. I couldn't bring myself to continue work on my fourth manuscript, the one I was 22,000 words into when DIVINE FALL released. So on November 1st, I committed to writing something every day. No word goals. 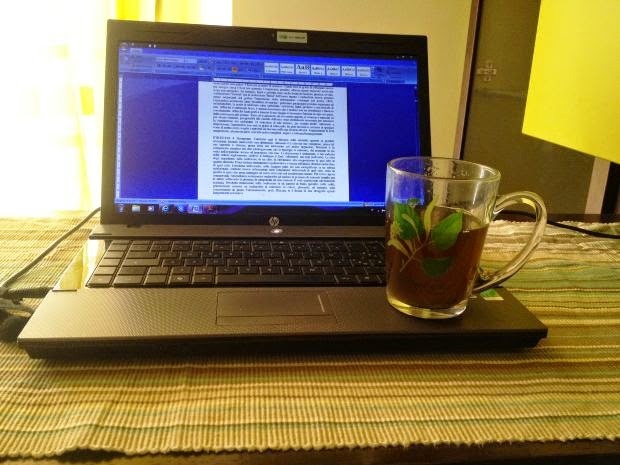 Just work on the manuscript, at least once a day. And you know what happened? The words just began tumbling out. My characters took control. 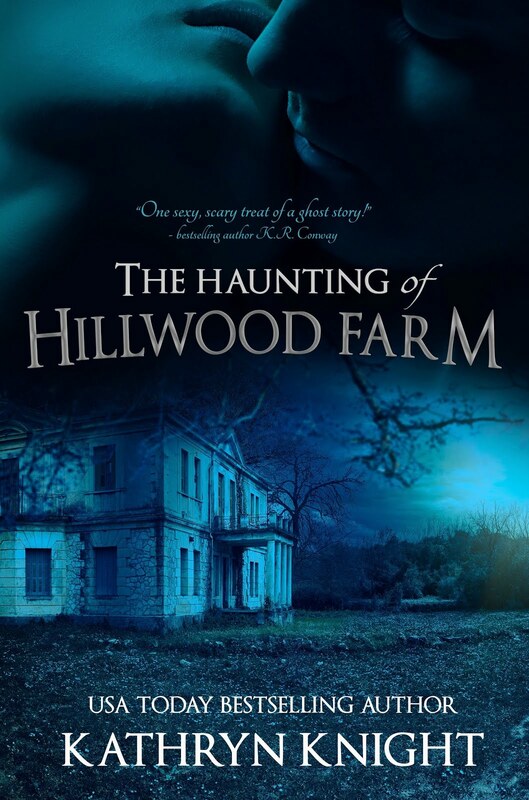 I found myself once again submerged in the twisting plot lines of a reunion romance and a spooky ghost story. Six days later, I'm at 31,500 words. A gain of close to 10,000! I know it doesn't count, in terms of the NaNoWriMo rules. But for me, it's been an exhilarating achievement. I'm going to keep going. So the moral of the story is...just write. Answer: A LOT! October is over, and I am exhausted...but in a good way. 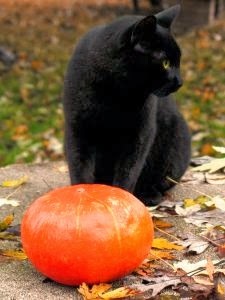 The month of Halloween is really big for me, since all three of my novels have a paranormal element. Two are spooky ghost stories mixed with romance, and my young adult novel has supernatural secrets entwined with forbidden love. Not only did I brainstorm some promotions of my own, but I also received some amazing requests that I certainly would never refuse. All this combined to make a very busy month! 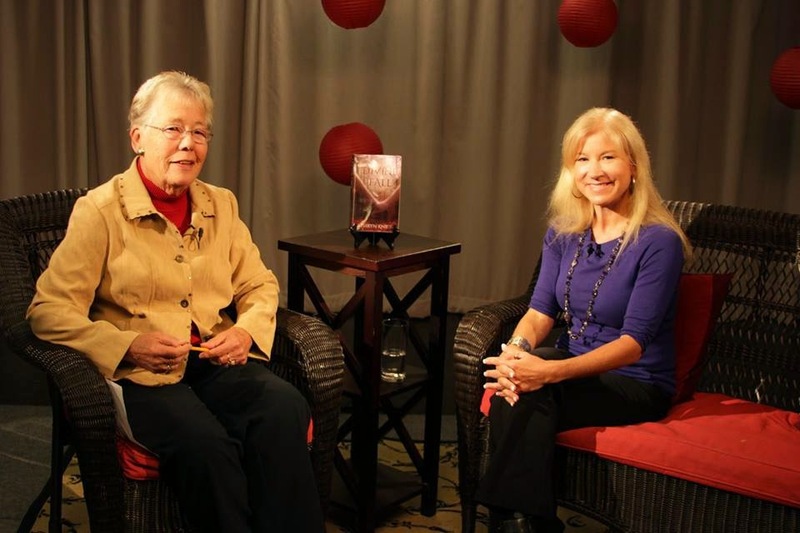 First off, I was invited to be interviewed on the television program Off the Shelf, which airs on community access channels throughout Massachusetts. Although I had to take off work and drive two hours, I of course jumped at the chance. This was my third time on television, and while it's stressful having a conversation in front of the camera, it really does get easier every time. We filmed this show on October 3rd, but it won't air for a few more weeks. On Oct. 7th, I was the guest speaker at a member luncheon at The Hyannis Yacht Club. I planned out a 25-minute presentation, which of course I had to memorize. I spent time every night practicing, and it went really well. I was thrilled that some of the guests read my books in advance after they signed up to attend. The it was on to SpookLit night, a special "spooky literature" event organized by another local author. Seven Cape Cod authors of both nonfiction and fiction books dealing with supernatural elements participated in readings. We were each allowed 11 minutes to speak a little bit about our book and read from a scary passage. I put together a new, brief presentation and read from GULL HARBOR, since this ghost story/romance is set on the Cape. We had a huge crowd and almost everyone dressed up in costume, so it was a lot of fun. Two days later I was at the historic Hyannis Library on Main Street, giving a presentation on writing romance and changes in the publishing industry. One couple who had attended SpookLit came to hear a little bit more about my books, which truly made my night. Everyone there had really great questions, and it was a lively discussion. 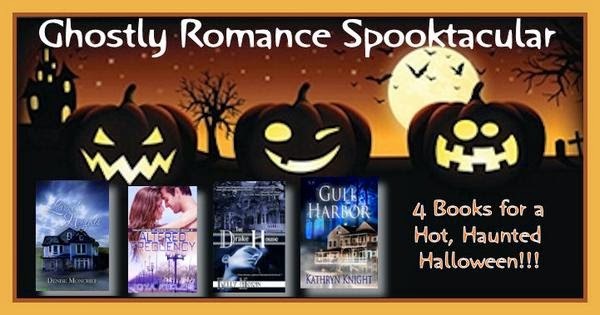 Online, I organized a Romance & Ghosts giveaway with the help of fellow authors Kelly Moran, Joya Fields, and Denise Moncrief. We each donated copies of romances we've written that also involve ghost stories. This Facebook event went on for two weeks, with a final drawing on Halloween. In addition, I participated in the Snarkology Halloween Blog Hop, and completed an author interview for a college student majoring in Creative Writing. I ran a 99 cent sale on my new YA DIVINE FALL as well as a Goodreads giveaway for a signed print copy. Finally, I published extra blog posts on paranormal topics (as opposed to my usual four posts per month), including one on the premier of the scary movie Annabelle, one on the Origin of Superstitions, one on the creepy show Ghost Within My Child, and one for the Halloween Blog Hop on Graveyards. Whew! It was a lot of stress and preparation, but reading and writing are my passions, and I love to let readers know about my books. Of course, my head was spinning toward the end of the month (not like the Exorcist girl, don't worry), when I realized on the day before Halloween I didn't even have a pumpkin, much less supplies and costumes for everyone! Something had to give, right? I ran out and found pumpkins at bargain basement prices (one advantage of waiting till the last minute), and my younger son reminded me we had a costume from last year that had arrived after Halloween (I must have been busy last October too, lol)--so he'll wear that. I even found the box I'd packed it away in! My older son informed me he'd like to have his birthday (16 - gulp!) sleepover on Halloween as well, so that took some scrambling to organize. All in all, while October is one of my favorite months, I'm ready to welcome November! Welcome to my stop on the Snarkology Halloween Blog Hop! 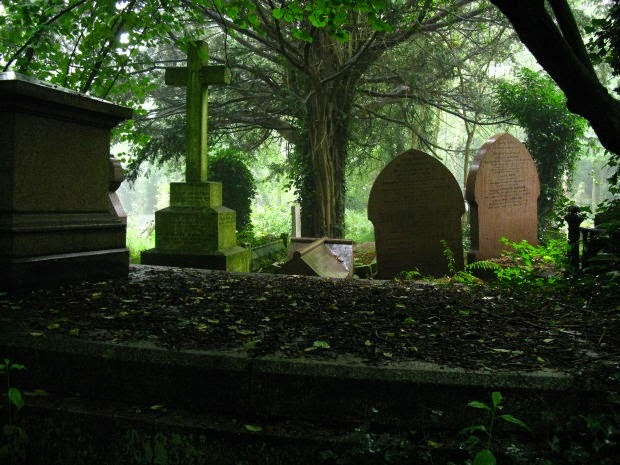 It's the season for all things spooky, and graveyards offer the perfect spot for all kinds of paranormal activity. Picturing a visit to a cemetery on a crisp autumn night easily conjures up images of wispy shadows darting amongst the tombstones. Those are the types of scenes I love to describe in my books, but then I have a bit of an obsession with ghosts. I've done multiple posts on both my experience with ghosts and actual hauntings, so I thought this October, I'd delve a little deeper into graveyards, the final earthly destination for many restless spirits. A graveyard refers to a burial ground within church property; this location within the church's yard indicates a burial area associated with a single place of worship, consecrated for use by a specific denomination. The graveyards were initially for people who could not afford to be buried within or beneath the church. Spots close to the church and to the east were reserved for those of higher status, while the north corner was the least favorable location. Eventually, graveyards became overcrowded hotbeds for disease, as more and more bodies were packed into limited space. Concern over infectious outbreaks near graveyards located in populated areas led to an alternative solution. Cemeteries were created away from town centers, and these new burial places were not necessarily connected to a particular church. While we often use the words "graveyard" and "cemetery" interchangeably now, "graveyard" is a much older term. In 18th century Paris, the overcrowding became such a problem that the Holy Innocents' Cemetery was closed and condemned. Bodies buried there were exhumed and transported to the Catacombs beneath the city. This turned the remains of old stone mines into a massive underground ossuary: a site, or thing, such as a box, which is made to hold skeletal remains. 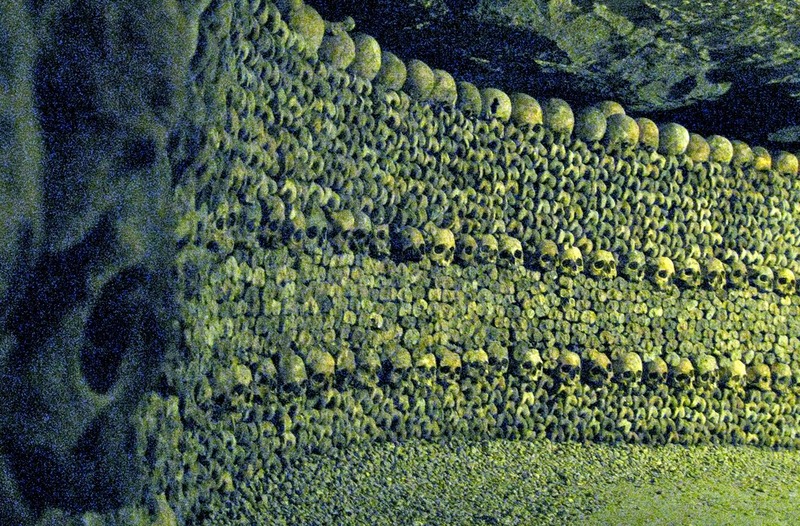 The bones of approximately six million people were moved into the Catacombs during a two-year period, and as it was impossible to match the remains with identities, display walls were created by stacking femurs and skulls. A Potter's Field refers to a mass graveyard for the poor or unknown dead. The term "Potter's Field" actually comes from the Bible. Before hanging himself, Judas cast away the silver he'd received for betraying Jesus. The priests did not want the tainted money to go into the charity box, so they used it to buy land for the burial of strangers. The field they purchased was considered land of poor quality--consisting of clay used by potters as opposed to rich soil useful in agriculture--hence the name. Interestingly enough, Judas plays a part in many morbid superstitions--see my posts on The Number 13 and The Origin of Superstitions. If you enjoy a suspenseful spooky story mixed with some steamy romance, leave a comment below to enter the giveaway for a FREE e-copy of my ghost story/romance GULL HARBOR. This book was a 19-week Kindle bestseller, and it's a perfect Halloween read! Please don't forget to leave an email or twitter handle where I can reach you should you win. Facebook and twitter follows/likes will gain extra entries into the GULL HARBOR giveaway - please note in your comment. If you like $100 gift cards to Amazon or Barnes & Noble (ha ha, who doesn't? ), here's the Blog Hop Rafflecopter! Extra entries to win $100 can be gained by the +1 options. Plus, there are two second prize winner who'll receive $15 cards. There are a whole bunch more stops on this blog hop, filled with fun Halloween/Fall posts...and more swag to win along the way. Below are the links to guide you through the hop! Happy haunted hopping :) P.S. The hop begins on 10/27 and ends with the drawing on 10/31 - enjoy the trick-or-treating! Happy Halloween! This is a big month for supernatural stories, and I have several ebook offerings for less than a dollar. First off, my new Young Adult Paranormal Romance, DIVINE FALL, is currently on sale for .99 cents! That's a savings of $3.00 off the current price, so if you have a Nook or Kindle, grab it now! It's a great deal for this tale of first love, forbidden lineage, and suspenseful secrets. The reviewer at Read for Your Future compared it to Twilight, which I personally loved. So if you'd like to give it a try, I've added the links below. I also write novels for the over-18 crowd, and one of these books is part of a multi-author "Hot, Haunted Halloween" giveaway! Four of us are hosting the Facebook party and each author is giving away an ecopy of her spooky ghost story + steamy romance to the winner! Make that winners, actually, as we'll pick 2 names from the commenters on our event page throughout the event. I'll be giving away GULL HARBOR, Kelly Moran is giving away THE DRAKE HOUSE, Joya Fields is giving away ALTERED FREQUENCY, and Denise Moncrief is giving away LAUREL HEIGHTS. There's nothing to lose and possibly 4 books to win, so stop by and enter! All you need to do is join our FB event on this page, check out the pinned, starred post at the top that asks you to FB Like or Twitter Follow the participating authors (links provided), then comment "Done" and you are in the drawing! These books are worth the effort, so come on by! #1 Kindle and Nook Bestseller! Can Jason protect Rain from a ghost determined to expose the truth? One of the Top 3 Books of 2016! Now on audio! Try DIVINE FALL for only 99 cents!